Truck accidents can be devastating to pedestrians and people riding in cars or other smaller vehicles. In addition to the danger of a collision, people around the truck face the possibility of a truck jackknifing, rolling over, or crushing them while trying to make a difficult wide turn. Most people cannot shoulder the burden of the catastrophic injuries that arise after a truck accident alone. Moreover, there may be multiple claims against a truck driver's policy after an accident, due to the likelihood of there being more than one victim. Not all personal injury attorneys understand how to obtain the necessary evidence and go after all of the responsible parties in the aftermath of a truck accident. At the Reeves Law Firm, Decatur truck accident lawyer Greg Reeves provides knowledgeable representation to truck accident victims. He has more than 25 years of experience handling injury cases. A truck driver can be held responsible for an accident if their negligence or wanton conduct caused an accident that resulted in injuries to others. To establish negligence as an accident victim, you will need to show that the truck driver owed you a duty of care, the truck driver breached this duty, there was actual and proximate causation, and there were actual damages. For example, if a truck driver was speeding around a curve on a highway, and the driver lost control of the vehicle as it jackknifed, such that you suffered traumatic brain injuries and paralysis, you would likely be able to show that driver's negligence. To take another example, if a truck driver consumed certain drugs to stay awake for a long drive, but they fell asleep, traveled across a center line, and collided with your spouse, you would likely be able to recover wrongful death damages if your spouse passed away. Other causes of a truck accident that may be attributable to a negligent truck driver may include speeding, distracted driving, overloading a truck, improper maintenance, driving under the influence of alcohol, or insufficient training. The huge size and weight of commercial trucks, big rigs, and tractor-trailers means that they have tremendous potential to cause catastrophic injuries and deaths. As a result, there are federal and state regulations in place to protect people against the possibility of serious harm. 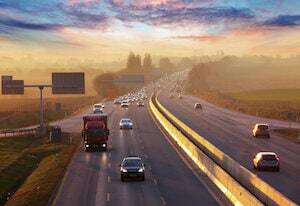 In Alabama, the Federal Motor Carrier Safety Regulations apply to interstate trucking. However, there are instances in which trucks operate only within the state (intrastate), and in that case, Alabama's regulations govern drivers' and companies' actions. A truck accident attorney can help Decatur residents and other victims hold them accountable for violating regulations. The Alabama Public Safety Commission and the Alabama Department of Public Safety have regulations for intrastate motor carriers that are quite similar to the federal regulations. These regulations include accident reporting, driver qualifications, and logbook retention. In the case of logbooks, Alabama requires drivers to keep them for 12 months, whereas they only need to be retained for six months under federal law. 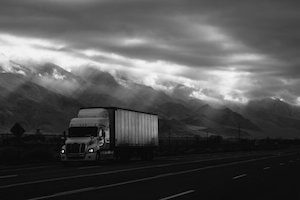 When a truck driver violates federal or state regulations, it may be possible to bring a lawsuit under a theory of negligence per se. Negligence per se can be shown if you prove that there was a violation of a safety law or regulation, the violation caused your injuries, and your injuries were of a type that the law was designed to prevent. For example, if a truck driver falsified his logbook and drove while fatigued, it may be possible to establish negligence as a matter of law if the driver’s fatigue caused a crash. Negligence per se can be a useful theory for plaintiffs because it eliminates the need to show what the standard of care was. The statute, law, or regulation defines the standard of care, and a violation can be established through reference to a citation or police report. In most cases, when negligence per se is successfully applied, the bigger question in the case is the extent of the damages, rather than whether or not they should be paid. When a truck driver is in the course and scope of employment at the time of the accident, it may be possible to establish their employer's vicarious liability. Vicarious liability is indirect liability. It is sometimes also known as respondeat superior, and it means that one party, known as the principal, is legally responsible for the negligent or wrongful acts of another party, known as the agent. For example, if a truck driver runs a red light while driving to drop off cargo for his employer, and he crashes into your car, a Decatur truck accident attorney can help you hold the employer responsible for the accident. On the other hand, if a truck driver is done with his shift for the day and runs a red light after picking up a pack of cigarettes, his employer is not responsible for a resulting accident. The idea behind this rule is that the company benefited from the actions of the employee on its behalf, so it should be held responsible for any breaches in due care in the course of those actions. Whenever somebody is injured in a truck accident, we will look into whether the truck driver was on the job. This issue is important because sometimes a truck driver has only the minimum amount of insurance, but the employer has substantially more coverage. Trucking companies, in particular, often have significantly more insurance than do individual truck drivers. Since multiple victims may be claiming against a single policy, thereby pushing against its limits, it is important to bring everyone into the case that may belong there and hold them accountable as well. Trucking companies may be not only vicariously liable but also directly responsible for their own negligence. An employer is expected to use reasonable care when hiring, supervising, and training an employee. An employer that fails to use reasonable care during the hiring process or while the employee is working for it can be held directly liable for its negligent or wrongful acts. For example, if a trucking company fails to do a background check on an interstate truck driver, as required by FMCSA rules, and the background check would have revealed a history of DUIs, the trucking company can be liable for negligent hiring if the truck driver gets into a drunk driving accident while going across the country with a shipment. The critical issue is whether information about the driver's abilities and record was available before the job offer was extended. For example, a trucking company should be able to access a truck driver's driving record to assess whether they have a history of safe driving. Unfortunately, too many trucking companies put profit over people's safety. In some cases, they may conduct the search but hire the driver anyway because they need someone with a commercial driver's license. Even after a truck driver is employed, the trucking company is supposed to monitor and supervise him. This includes checking logbooks to make sure that drivers are complying with hours of service rules and keeping accurate records of their hours. Unfortunately, many trucking companies are aware that logbooks are being falsified, but since it ultimately benefits the company to be able to meet delivery deadlines, they look the other way. Employers must also assess an employee's performance in other ways, such as keeping track of complaints about the driver's driving. In addition to potentially holding a trucking company indirectly or directly liable for a truck driver's negligence, we will also look at whether there were problems with repairs or defective parts on the truck that could have contributed to the accident. It may be necessary to hire an accident reconstruction specialist to determine whether there is a basis to bring a product liability lawsuit in connection with a truck accident. You can recover compensatory damages for your economic and noneconomic losses if you can establish liability. These damages depend on the types of injuries that you suffered. Economic losses are usually losses that are tangible and documented. For example, an emergency room bill presents an economic loss. Other economic damages may include medical costs, emergency care, rehabilitation, physical therapy, medical equipment, and household services. Damages cannot be speculative, and the jury will look at whether you actually suffered a particular loss. For example, if you were previously responsible for mowing the lawn and cleaning the house, but you are unable to do these tasks after a double amputation, you could recover damages for the costs of getting someone else to come do these tasks. Noneconomic losses are those that are intangible and subjective, and they can vary a lot depending on how your lawyer presents your case and how a jury responds to your testimony. They may include disfigurement, scarring, loss of consortium, pain and suffering, and loss of enjoyment. Again, these can vary dramatically. Juries are made up of human beings and have human biases. Thus, for example, a jury may be more likely to award high noneconomic damages to a young woman who suffers visible scars than it would be to an elderly man who suffers scars. It is likely to assume that the young woman suffered more because of that injury. Similarly, we will look at your quality of life prior to the accident and how that has changed after the accident. An experienced truck accident lawyer in the Decatur area will be sure to put forward evidence to show what your hobbies were before you were injured and in which ways your injuries from the accident have limited you. Alabama follows a rather harsh contributory negligence rule. Under this rule, you are barred from recovery if the jury finds that you were negligent and, further, that your negligence contributed to the accident. Many other states, by contrast, follow a comparative negligence rule, in which a plaintiff's damages are reduced by an amount equal to their degree of fault. This is important to remember because after an accident, the insurance companies for the driver and trucking company will try to look for ways in which you were at fault. They may call you to try to obtain an admission or other information that can later be used to prevent your ability to recover damages. In a wide turn accident, for example, they may try to pin the blame on you for driving next to a truck that you did not realize was swinging wide in order to make a tight turn. It is crucial not to speak to representatives of the truck driver or trucking company or insurance adjusters without first consulting an attorney. Truck drivers and trucking companies are not always forthcoming with evidence. Anticipating significant liability, they may even conceal proof of their wrongdoing. In Alabama, a party to litigation is not allowed to commit spoliation. They are not supposed to suppress or destroy material evidence favorable to the other side. Soon after a truck accident, a plaintiff’s attorney can send a letter to the trucking entities in order to put them on notice that they should not destroy evidence that might be pertinent to litigation. If a jury finds that one party has been guilty of spoliation, it is authorized to presume that the missing evidence was unfavorable to the spoliator's position. Additionally, there may be sanctions imposed. If you are hurt in a truck accident on the roads of Alabama while riding in a car, a motorcycle, a bicycle, or another vehicle, you should contact the Reeves Law Firm. Our principal has handled claims for injured people in Alabama, Tennessee, Florida, Texas, and California. Greg Reeves represents victims in Huntsville, Athens, Hartselle, Madison, and Birmingham, as well as other communities in Madison, Morgan, Limestone, Lawrence, Jackson, Lauderdale, and Cullman Counties. Call us at 256.355.3311 or use our online form to set up a free consultation.